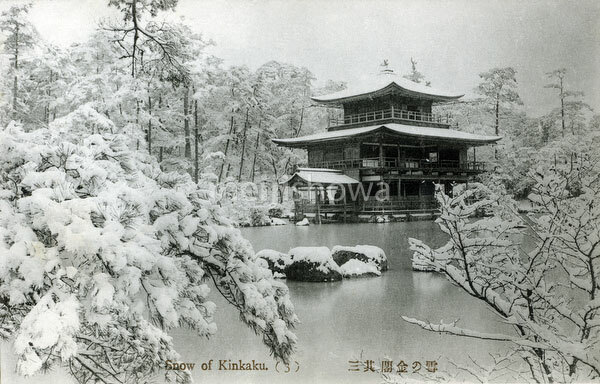 The Zen Buddhist temple Kinkaku-ji (Temple of the Golden Pavilion) in the snow, Kyoto. Kinkaku-ji was originally built in 1397 as a retirement villa for Shogun Ashikaga Yoshimitsu. His son, shogun Ashikaga Yoshimochi, converted it into a Zen temple of the Rinzai school.